No losses. No taxes. No Fees. What compounding does to accounts, even at a modest 4 – 6% return is double the money in a predictable fashion every 5 -7 years. At 6% it out performs the market, throughout market history. An investment in the S&P 500 over the market’s history would have produced $32,852,000 today. Compounding with the same investment at 6% would have yielded $84,648,000. This occurred without sleepless nights, worries, or losses. Utilizing the indexing concept, this would have yielded greater than $817 million today vs. $32 million. At IFBCS we often marry the two concepts, if that were to occur based on our example it would have resulted in $2.4 billion vs. $32 million. The concepts referenced not only consistently beat the market, they do so with complete safety and tax efficiency. Imagine being in the market, but never experiencing a market loss or market correction. An environment where every statement received shows your money is working as hard as you are. Actually your money earns money! As you get older you realize that income is far more important than assets. Older people will tell you that managing assets as you get older is next to impossible. At a point in life, liquidity and income has to take priority. We focus on creating guaranteed lifetime income plans. We also show you how to “spend down” your current assets while enjoying the lifestyle of your dreams, and still leave a legacy of financial freedom to your heirs. The strategies of Integrity always consider protection first. Well, we will start with what it is not. It is not life insurance, nor a health insurance policy. It’s not a savings account or a bank Certificate of Deposit. An Annuity contract is offered by an insurance company that allows you to accumulate funds for retirement on a tax-deferred basis. It is an amount payable annually. Your value in an Annuity contract equals the premium payments you pay in, plus interest credited, less any applicable charges. The types of annuities vary and may seem complex to most at first. We consider your goals, lifestyle plan and much more to provide the best options available. The most inevitable and yet the most ill prepared life event. Retirement dollars are generally less than the working dollar. Planning with Integrity can change this common fact. Often we underestimate the length of our retirement. We have been taught that we will be in a lower tax bracket at retirement, than we are at our working life. 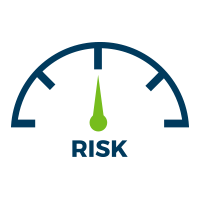 Plans of Integrity are founded in our mission to shield your retirement from market storms. We want you to enjoy your retirement as you’ve always envisioned. Experiencing prosperity through growth. Annuities are an important part of any retirement plan as they are safe, secure and risk free. 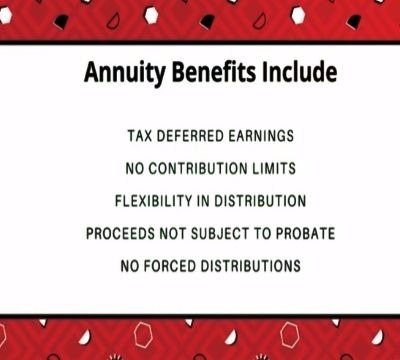 An annuity allows you to accumulate funds for retirement on a tax-deferred basis and upon retirement receive GUARANTEED INCOME, for a life time or a fixed number of years. Enjoy a high percentage of market gains. Receive a contract, not a speculation. If you are planning correctly, the GROWTH and INCOME will be TAX FREE! Does a market alternative seem like a better choice? Learn if you qualify to implement an Integrity strategy! Planning for life and business with INTEGRITY.